On August 1, 2018, the Ukrainian IPO started publishing information on pending trademark applications in its online database immediately after sending a confirmation of the trademark application filing date to the applicant. The information on pending applications will now be published online within two months of the filing date of the trade mark application. Until recently, the IPO did not publish the information until at least six months after filing. Trademark owners are now able to monitor new applications shortly after filing to ensure timely enforcement of their earlier rights. In September 2018 the Ukrainian Ministry of Economic Development and Trade released a new draft law for public review as the previous draft law did not get support in the Ukrainian Parliament. The draft law amends certain legislative acts aiming to improve the protection and enforcement of rights relating to patents, utility models, designs and trademarks. As reported earlier, the Ukrainian courts face a dilemma in non-use cancellation actions as to what the applicable grace periods really is. The existing Ukrainian Trademark Law provides for a 3-year non-use grace period, while Article 198 of the IP-related provisions of the EU-Ukraine Association Agreement sets forth the 5-year non-use grace period. Ukraine has not adopted any laws that would implement provisions of the EU-Ukraine Association Agreement in the national legislation yet. Only a draft law has been submitted to the Parliament implementing the provisions of Art. 198 on January 23, 2017. In a court ruling dated February 12, 2018, by the Commercial Court of Kyiv in the case no. 910/14972/17, the judge applied a five-year non-use grace period, as provided for under the Association Agreement (Art. 198), and rejected the non-use cancellation action, which was based on the three-year grace period, as per Ukrainian Trademark Law. The case went to the Kyiv City Commercial Court of Appeal and ended up reaching the Ukrainian Supreme Court, which upheld the decision of the lower courts on July 17, 2018. The Supreme Court ruled on the direct applicability of the EU-Ukraine Association Agreement applying a five-year non-use grace period. The Ukrainian Supreme Council of Justice has recently approved an increase in the number of judges in the Intellectual Property (IP) Court from 21 to 30. The IP Court, the establishment of which was announced as part of the Ukrainian 2016 judicial reform and became imminent in late 2017, was meant to comprise 21 judges. On July 23, 2018, the Supreme Council of Justice received a request from the head of the State Judicial Administration of Ukraine to increase the number of judges to 30, nine of whom would work in the appellate division of the court. The Supreme Council of Justice approved the request on July 31, 2018. The increase in the number of judges is likely to improve the quality and efficiency of IP dispute consideration once the IP Court starts operating, which is expected to happen once all the judges are recruited. The IP-related provisions of the EU-Ukraine Association Agreement, signed and ratified by Ukraine in 2014, came into force on September 1, 2017. New rules regulating the non-use grace period for trademarks were thereby introduced. Where the existing trademark law provides for a 3-year non-use grace period, Article 198 of the Agreement sets forth the 5-year non-use grace period. However, Ukraine has not adopted any laws that would implement such provisions in the national legislation yet. Consequently, Ukrainian courts are facing a dilemma in non-use cancellation actions as to what the applicable grace period really is. This raises the question of direct applicability of the EU-Ukraine Association Agreement provisions. Recently, in a court ruling by the Commercial Court of Kyiv the judge effectively applied a 5-year non-use grace period, as provided for under the Association Agreement (Art. 198), and rejected the non-use cancellation action, which was based on the 3-year grace period, as per Ukrainian Trademark Law. The court held that the EU-Ukraine Association Agreement is a binding international agreement, thus its provisions should prevail if they differ from the rules provided by the Ukrainian law. The judge argued that, since Art. 198 provides for a different grace period, the Agreement’s provisions may be directly applicable. The ruling also emphasizes that the Association Agreement does not foresee any particular means of implementation of these provisions in the Ukrainian national law. Significant amendments to three Ukrainian codes governing judicial dispute resolution process — the Civil, the Commercial, and the Administrative Procedure Code, entered into force on December 15, 2017, the same day the reorganized Supreme Court started operating. In general, the amendments aim to modernise the Ukrainian judicial system and increase its efficiency. The amendments also introduce electronic submission of evidence and encourage electronic communication between the parties and courts. Some of the most important changes are described below. Minor disputes, such as those in which the value of the dispute does not exceed EUR 5,310 (USD 6,525), can now be resolved in simplified proceedings, previously available for a limited number of very specific situations. Both individuals and legal entities were previously able to appoint anyone as a representative before the court, as long as the representative had a proper authorization. Even a law degree was not required to represent in court. Now, individuals may either appear before a court themselves or be represented by an attorney at law. All available proof on which an action or a defensive plea is based should now be submitted together with the corresponding action or defensive plea. Before the changes took effect, parties were able to file proof subsequently, which is no longer the case. In an attempt to settle disputes amicably and avoid trials, a judge-facilitated settlement is now possible, with a judge and parties meeting either together or with a judge meeting each party separately. The information disclosed during the meetings will be confidential. A court can now appoint an independent expert to assist the court in interpreting legal provisions if the law does not directly address the issue at hand and the court has to apply statutory or legal analogy. Independent experts can also help with interpreting foreign law, but the court can decide whether to accept the interpretation. State courts are now able to grant an injunction in cases considered by an international arbitral tribunal. The number of cases in which an appeal before the Ukrainian Supreme Court can be filed is now reduced. As a general rule, appeals will not be accepted by the Supreme Court in petty dispute proceedings unless, for example, the court of first instance erred in qualifying the dispute as petty or when the case is of fundamental importance for the establishment of uniform judicial practice. All three amended codes now specify which activities will be regarded as abuse of procedural rights. These activities include filing an obviously groundless action, filing several actions against the same defendant on the same grounds and with the same claims, and appealing judicial decisions that are not eligible for an appeal, to name only a few. On September 29, 2017, the President of Ukraine signed Decree No. 299/2017 establishing the High Court on Intellectual Property with location in Kyiv. According to the State Judicial Administration, the court will have 21 judges who will deal with the disputes about copyright, trademarks, inventions, patents, author's rights and administration of titles to intellectual property. The Decree came into force on September 29, 2017. Decree No. 197 of September 28, 2017, has been issued by the Ukrainian Intellectual Property Institute (UKRPATENT), which provides that a fee may be paid for the acceleration of examination of a trademark application after 3 months from the filing date of the application. If this fee is paid, the examination itself will take place within 3 months of payment of the fee, and accelerated registration of the trademark should then take around 6 to 7 months under normal circumstances. The resolution "On optimization of central executive bodies of the state system for the legal protection of intellectual property" was adopted by the Cabinet of Ministers of Ukraine on August 23, 2016. It stipulates in particular the liquidation of the State Intellectual Property Service. The decision was taken in order to facilitate the streamlining of the state management in the intellectual property sphere, and to implement an effective management on behalf of the public enterprises and organizations in the intellectual property field. On June 2016, the Ukraine launched the reformation of the Ukrainian judicial system. Three laws have already been adopted. They aim to correct deficiencies of the former judicial system, enhance the effectiveness thereof and thus raise its standards. The new law on the judicial system introduces the Highest Court of Intellectual Property as a court of first instance. Intellectual property disputes can be reviewed further by the Supreme Court. The new procedure will facilitate the more expeditious processing of claims and reduce the backlog of cases. According to the new law, only lawyers, who are accredited with the bar are allowed to represent their clients before the Highest Court of Intellectual Property, while the earlier practice enabled all patent attorneys and legal counsels to represent their clients in intellectual property matters before the court. This amendment will come into force on January 1, 2019. The reform will also affect the enforcement procedure: private enforcement officials are expected to be introduced. The new body will execute court decisions and will give right holders the opportunity to control the execution of the enforcement actions. The above-mentioned changes are intended to facilitate the implementation of full-scale judicial reform in Ukraine in accordance with public expectations and in line with European standards. On June 03, 2016, the Parliament of Ukraine adopted a law on reforming the judicial system of Ukraine. Currently, the law is awaiting the President’s signature. The reform provides for establishing the High Court on Intellectual Property Issues by autumn 2017 as a court of the first instance for copyright, trademark and patent disputes. Judicial decisions will be reviewed in the court of appeal within the chamber of the Supreme Court of Ukraine. As from 2017 only attorneys-at-law (barristers) will be authorized to represent parties in intellectual property court. Prior to adopting the new law, patent attorneys, company directors and legal advisors were also allowed to represent their clients in court. Further, the judicial reform has also affected the reform of judgment enforcement authorities. The new institution of private judicial executors appeared. For right holders, it is a chance to procure judgment execution after winning a case in a more effective manner. Meanwhile, it is unclear how to execute a judgment of a specialized IP court in foreign countries, which have already signed international treaties on the enforcement of judgments in civil, criminal and commercial cases. On May 31, 2016, draft law No. 4484 simplifying the procedure for registration of medicines in Ukraine (the “Law”) was adopted by the Ukrainian Parliament. The Law may be important for owners of pharmaceutical trademarks because it is expected to provide simpler access for foreign medicines into Ukraine. This may increase competition in the Ukrainian pharmaceutical market and bring down the prices of medicine. The Law is now awaiting the President’s signature and will become effective on the day after its official publication. - Introduce the simplified procedure of the state registration of medicinal products already registered by the competent authorities in the Unites States of America, Switzerland, Japan, Australia, Canada or registered under the centralised procedure by the competent authority of the European Union. Currently, the simplified procedure applies only to the registration of certain foreign medicines (such as medicines for the treatment of oncological diseases, HIV/AIDS, viral hepatitis and tuberculosis). The Ukrainian Institute of Intellectual Property granted free access to its online database of trademark applications on August 21, 2015. Even though the database only contains applications that passed the formal examination since August 20, 2015, trademark owners will be able to monitor new applications and daily updates, ensuring timely enforcement of their prior rights. A new law condemning the Communist and Nazi regimes and prohibiting all related symbols and propaganda entered into force in Ukraine on May 21, 2015. Several articles of the Ukrainian Law on Protection of Rights to Marks for Goods and Services have been amended in accordance with the new law. 1. Legal protection shall be granted to a mark that does not contradict the public order, principles of humanity and morality, the Ukrainian Law “On condemning the Communist and National Socialist (Nazi) totalitarian regimes in Ukraine and prohibiting the propaganda of their symbols”, and is not subject to the grounds for the refusal of legal protection as established by the present law. 2. Trademark may consist of any sign or any combination of signs, such as words, including personal names, letters, numerals, pictorial elements, colors and combinations of colors, as well as any combination of such signs. Trademark cannot contain the following: any name or pseudonym of a person holding senior position within the Communist Party, starting from the secretary position of a district committee and higher; the Union of Soviet Socialist Republics (USSR) and the Ukrainian Soviet Socialist Republic highest bodies of power and administration; other Soviet Union republics and autonomous Soviet republics (except in cases related to the development of the Ukrainian science and culture), who used to work for the Soviet state security bodies; the names of the USSR, the Ukrainian SSR, other Soviet republics and their derivatives; denominations associated with the Communist Party activities and its establishment on the territory of Ukraine, other administrative units of the Soviet system, as well as denominations associated with the fight against the participants in the struggle for independence of Ukraine in the twentieth century. Legal protection shall not be granted to a mark that contradicts p. 2 of Article 5 of the given Law, and the Ukrainian Law “On condemning the Communist and National Socialist (Nazi) totalitarian regimes in Ukraine and prohibiting the propaganda of their symbols”. Under the transitional provisions of the new law, the rights holders whose trademarks contain communist and/or Nazi symbols are obligated to bring such trademarks in line with the legislation. However, it is not specified how this will work in practice. There are some registered trademarks in Ukraine whose legitimate use can be put into question. During a recent roundtable organized by the Ukrainian IPO in Kiev, Ukraine, the majority of the attendees, mostly IP practitioners, supported the idea of legislation changes that would introduce an administrative appeal against the registered industrial designs and utility models. In Ukraine, there is no substantive examination of industrial design and utility model applications. This fact encourages copying and registration of identical or similar designs and utility models, mostly as an act of bad faith. Moreover, such registered industrial designs and utility models become recorded in the customs register of IP rights, thus hampering the movement of goods across the border. At the moment, the Ukrainian PTO only has a brief outline of the future system, but the main idea is to place the Board within the PTO in charge of considering such appeals, organizing substantive examinations and making decisions on invalidation of IP rights. The interested parties will be able to appeal the Board’s decisions in court, but the PTO is aiming to make the procedure faster and less time and money consuming compared to the judicial procedure of invalidation currently available. It is expected that the draft laws containing these amendments will be completed and published in July-August 2015. On 22 July 2014, the Russian Law regulating IP protection on the territory of the Crimean Peninsula entered into force. According to the Ukrainian Law on Ensuring Protection of the Rights and Freedoms of Citizens and Legal Regime on the Temporarily Occupied Territory, which entered into force on 9 May 2014, the Crimean peninsula is still regarded as part of Ukraine, with a special legal status as an occupied territory. Due to this conflict, it is recommended that owners of IP rights that are being executed in Crimea should apply for protection of their IP rights in both countries, Russia and Ukraine. The deadline for revalidating Ukrainian IP rights (whether re-registering or re-filing) in Russia as well as resolving other IP-related issues is set for 1 January 2015. For detailed information, please see the article on 'IP Protection in Ukraine and Russia in Light of Crimea Conflict' from our contributor PETOSEVIC here. Ukraine has recently ratified the Singapore Treaty on the Law of Trademarks. In conformity with Article 28(3), the said Treaty will enter into force, with respect to Ukraine, on May 24, 2010. Trademark Law Legal basis is the Law on Protection of Rights to Trademarks and Service marks of December 23, 1993, in force since July 1, 1994, last amended April 9, 2015. Ukraine is a member of the Madrid Agreement and the Madrid Protocol. Trademarks which were protected in the former Soviet Union are protected in Ukraine only, if they were transcribed within the period stipulated. Registrable as a trademark are all distinctive and graphically representable signs, such as words, names, acronyms, letters, numbers, devices, colours, combinations or shades of colours, threedimensional forms, the three-dimensional form of a good or its packaging, sound marks and any combination of the mentioned signs. The following trademark types are registrable: trade marks and service marks. The application is filed at the Ukrainian Institute of Intellectual Property (UKRPATENT). The processing time from first filing to registration is approx. 14 to 16 months. Accelerated examination (5-9 months since filing date) is available for extra charge. Simultaneously with the registration, the trademark is published in the Official Gazette. Any person can file grounded opposition against a trademark application within the whole period of the application examination but not later than 5 days before issuing of the final decision. But there is no publication before granting right protection, therefore, no opposition period. Information about filed applications may be obtained through search, which shows filed applications. Applications accepted for examination are also published online on the website of UKRPATENT. Cancelation of registered trademarks (certificates) is possible only by court. If the trademark has not been used within 3 years from the registration date or has not been used continuously any other period of 3 years after its registration, any interested person can start a court proceeding for trademark cancellation on the basis of non-usage. Subsequent use of the trademark can restore protection if no party has requested cancellation due to non-use in the meantime. The official application fee is UAH 1,000 for each class. For colour trademarks there is an extra fee of UAH 500. Official fee for filing application in the names of several applicants is paid at the rate 130%. The official fee for issuing certificate is USD 200 for foreigners. The amount must be paid in USD. The official fee for publication for each class is UAH 150. Additional fee for colour trademark publication is UAH 100. The Patent and TM Bureau „Dr. Emil Benatov & Partners“ was established in March 1993 by Dr. Emil Benatov and today it’s one of the most successful private companies in the field of intellectual property protection among the post-soviet countries. The Bureau provide a wide range of specialized services in Ukraine, Bulgaria, the European Union, and other countries. The Bureau has its offices in Kyiv (Ukraine) and Sofia (Republic of Bulgaria). Our clients are more than 4,000 large companies and firms from across the globe. The key to Bureau's success is the high professional level of our employees, their substantial work experience, the European quality of service, and affordable prices. We easily find common language with our clients because we speak Ukrainian, Bulgarian, Russian, Lithuanian, English, Polish, German, and French. MIKHAILYUK, SOROKOLAT & PARTNERS is a full service Intellectual Property law firm established in 1992. For more than 20 years of development the firm built up an excellent team of more than 100 IP professionals and has acquired the highest reputation due to our high quality services. 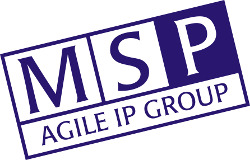 We provide our clients with a full range of trademark, patent and legal services in the key areas of intellectual property in the countries of the former Soviet Union, namely in Russia, Ukraine, Kazakhstan, Georgia, Uzbekistan, Armenia, Azerbaijan, Belarus, Estonia, Kyrgyzstan, Latvia, Lithuania, Moldova, Turkmenistan, Tajikistan.